Heidi is obsessed with crafting at the minute. From the second she gets home from school it's either outside to play on her roller boots or she's inside and creating something from nothing. One of the downsides of being a blogger is that I receive so many cardboard boxes and my house is always full of them. Luckily for Heidi though, this means that she always have an unlimited supply. Heidi's favourite things to craft are beds and furniture for her various soft toys and at the moment she's working on a big craft project for school where she's creating a gladiator shield. Heidi comes up with a lot of her craft projects herself, she has various craft kits and she also watches TV shows like Mister Maker for inspiration. She was over the moon to hear that I have tickets for us to watch Mister Maker's new show as it visits Whitley Bay this summer. Cbeebies arts and crafts hero Mister Maker will be heading to Whitley Bay Playhouse as part of his UK tour on Sunday 16th July. There are performances at 1:30pm and 4pm and tickets are on sale from just £12 each. 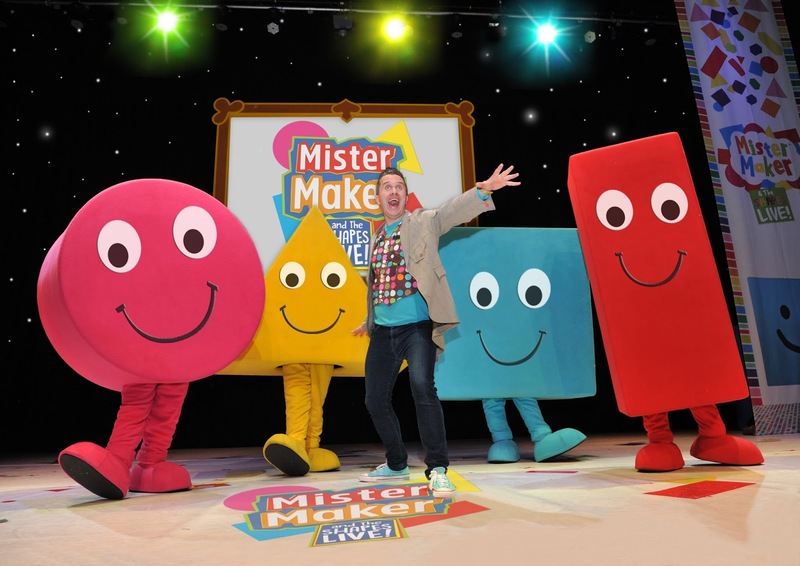 You can buy tickets to see Mister Maker & The Shapes Live at Whitley Bay Playhouse online here. I love the fact that Heidi has an interest and is independently coming up with projects for herself. That is an essential skill for her future. Keep up the good work Heidi! Thank you Sam! I now have 'I am a Shape' in my head ha ha! Abigail loves this show and have entered the comp! I'm so sad we'll be away and miss this! We cycled past the Playhouse and saw the poster. Good job the boys didn't spot it because we'd have never heard the end of such a disappointment!